Jigsaw is a three-dimensional mural artwork executed by a non-profit organisation called Archrival who unites the creative community by applying strategic practice and new thinking about ways to reshape modes of architecture and the design practice. 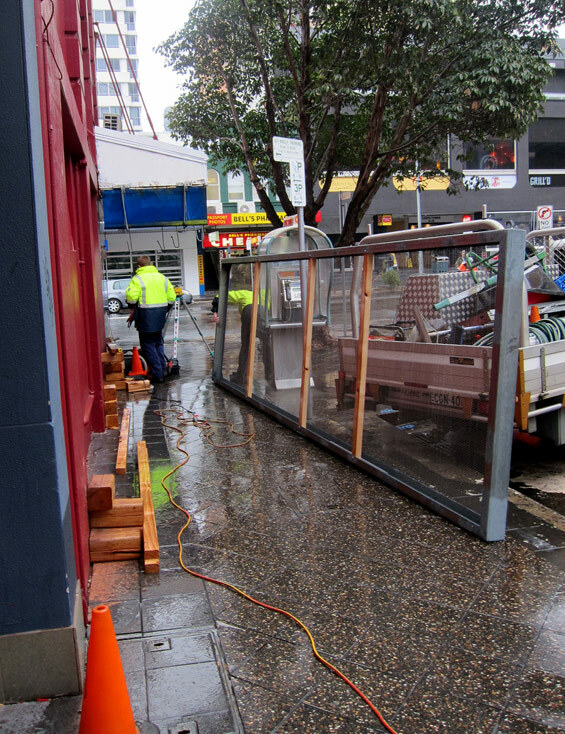 Waverley Council engaged Archrival to design, construct and install the public art piece as a means of injecting beauty at a human scale to the otherwise vehicle-dominated streetscape of Gray Street in Bondi Junction, Sydney. This was part of Council’s Bondi Junction Complete Streets Project, which aims to make the area a true destination that is inviting, functional and desirable; an exciting place to live, work, visit and enjoy. 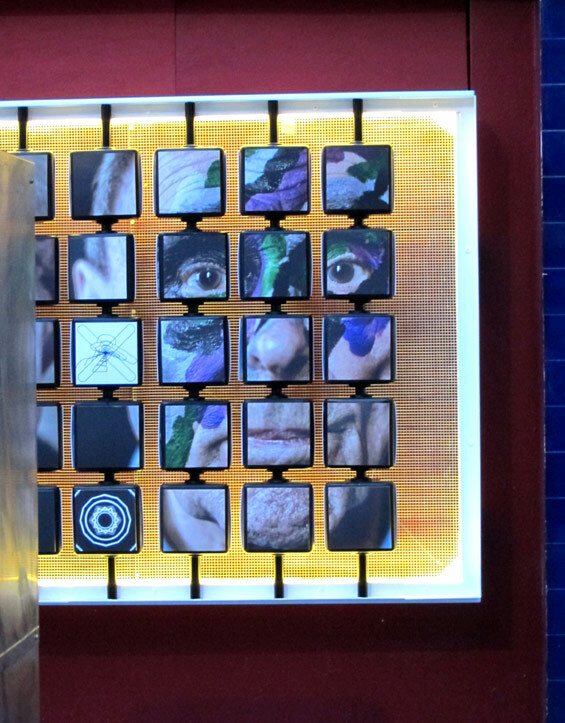 The artwork is an interactive delight that invites the community to spin the 3D triangles to unveil the photographic mural or play a game of uniquely designed noughts and crosses. Archrival invited a series of design professionals ranging from graphic designers, artists, a sail maker and architects to create custom designs for each pair of nought and cross. The Jigsaw mural is made up of 100 rotating triangular blocks with custom artworks by 17 participants. The printed black and white graphics link in with the Club Bondi Junction Returned and Services League (RSL), on which it is affixed. On the third side of the 3D triangles, a photographic artwork portraying members of the Club Bondi Junction RSL is revealed. 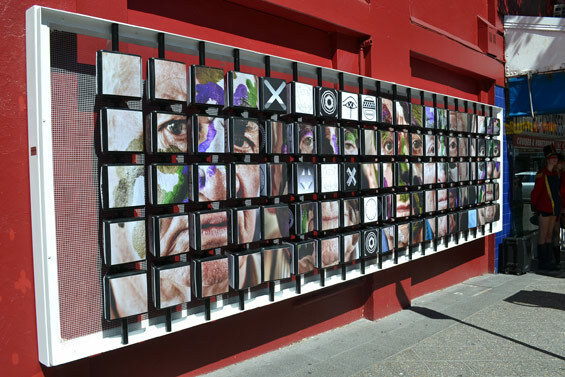 Archrival coordinated key members of the RSL and local community to participate in this experimental artwork, where the photographer has taken a series of portraits and collated them into an abstract photo-collage mural. 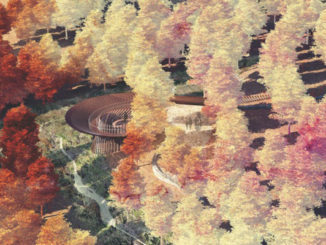 Jigsaw is brightly illuminated during the night with LED strip lighting its internal edge and complementing its neighbouring tree that contains glowing fairly lights entwined around the branches; the only trees in a vastly urban environment which warrant being accentuated and celebrated. The three artworks are applied using digitally printed vinyl stickers. This application is designed as a weather-proof and vandal-proof outdoor signage treatment suitable for public display. To the eastern end of Gray Street a matching painted mural artwork has been applied to the wall of the Westfield building along the pedestrian through link to Hollywood Avenue. The purpose of the mural artwork is to demonstrate a creative way finding solution that highlights the otherwise unknown link and to offer the community a walking experience through the unique, fine grain character that a laneway has to offer. 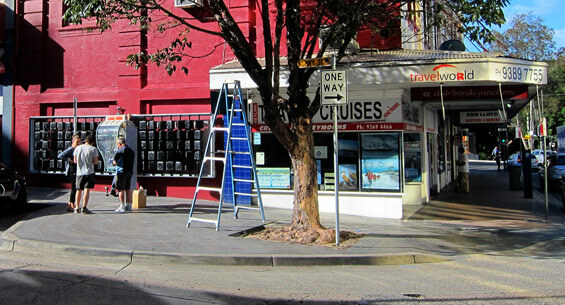 Jigsaw is a temporary public art installation built to enhance the visual character of Gray Street and demonstrate the urban design principles from Waverley Council’s Bondi Junction Complete Streets Project – improving way finding, walking connections and permeability in the public realm and introducing human elements that make a street vibrant and inviting, and enhance a sense of place. 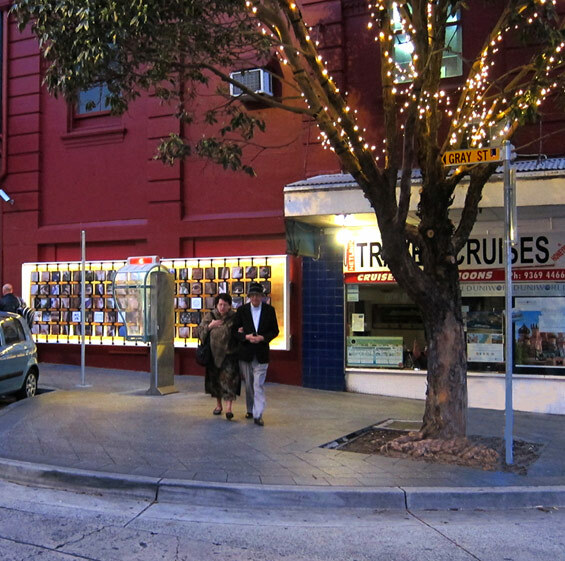 The Bondi Junction Complete Streets Project is an urban design study carried out in collaboration with town planning and urban design specialists, Roberts Day. The project aims to improve the quality of the public domain and better integrate all modes of transport within the Bondi Junction Centre. 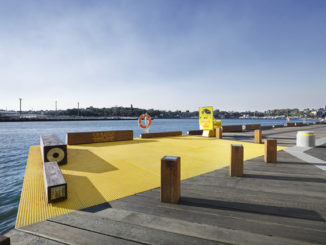 ‘Complete Streets’ is an approach that considers public space in a holistic manner and develops an overarching Complete Streets framework in Bondi Junction to guide specific designs for upgrading the streets.